It’s like a buzz word. But WHAT is it really? Why would you want to meditate? A decade ago meditation to me felt like a prison in which I HAD to produce some kind of amazing thought, reaction, or peace and solitude in my mind. The idea of sitting and doing nothing except trying not to think about something had me looking for the exit sign. Since that time I have become appreciative and even a proponent of meditation. Do you meditate? What holds you back? Time? Interest? Let’s discuss some of the benefits. If you already meditate how many of these reasons hold true for you? 1) Meditation brings us to the realization that we are all connected. We are part of a universal energy in which we play a part. Our energy affects the whole. What I think, what I say, and what I do really does matter. 3) Meditation reduces self-destructive thought patterns. In as little as 30 seconds a day we can learn to let go of poisonous self-depreciating thoughts like revenge, anger, jealousy, greed or hate; and instead foster nourishing life giving thoughts of hope, love, understanding, and kindness. In other words we can learn to “let it go” and focus on actions that are life enhancing. 4) According to Kabat-Zinn, meditation helps to “cultivate a capacity to see what is here to be seen, hear what is here to be heard, and feel what is here to be felt.” Imagine the world being more vibrant and delightful to your soul! 5) Meditation has proven to be a helpful treatment in alleviating symptoms of fibromyalgia, chronic pain, sleep disorders, headaches, depression, and high blood pressure. Studies reported in the American Heart Association’s journal Stroke and other studies conducted through the Center for Mindfulness in Medicine, Health Care, and Society (CFM) at the University of Massachusetts Medical Center are just a few that support these claims. Why do you meditate? Where, when and how? I’d like to hear from you. This is the time of gift GIVING right? But, is it really better to give than to receive? I think receiving sometimes take a back seat to giving, for all the wrong reasons. Let me explain… Have you ever put a lot of thought into a gift, given it to that special someone, only to be disappointed by a less than enthusiastic nod from the receiver? We repeat that scenario when instead of acknowledging the little things in life that others do for us we only see “room for improvement”. Especially when it comes to the people we love the most. 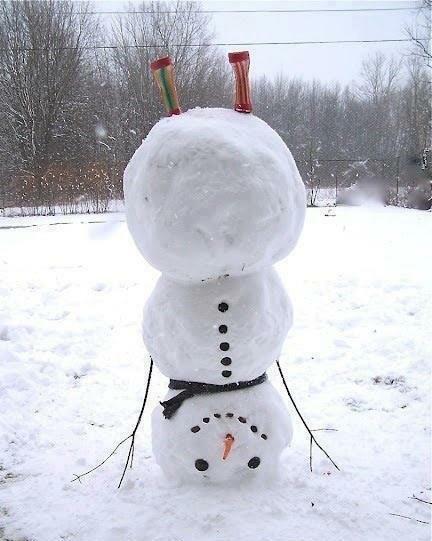 I’ve committed to turning it upside down this holiday season! Notice the gifts given to you everyday from people you come in contact with. A smile, open door, helpful advice, small act of kindness, etc. Most folks just want to be helpful or noticed. Take time (like two minutes) to tell a loved one the sweet impact they’ve had on your life. Use phrases like: “I appreciate you!” or “I really enjoy your company.” or “The way you __________ makes me smile.” By acknowledging their gifts you show that you “receive” them. Be Genuine – Pay a genuine compliment by looking someone in the eyes and acknowledging their worth for no other reason than just because. Really “see” another human “being” rather than just look. Listen – Turn on the “listening” ear and turn off the intense desire to run at the mouth. Receive another by “listening” not just hearing. Show love – Bend down to look a child in the eye and tell him/her how much you love the present they put together out of Popsicle sticks, glue, and glitter. Be Grateful – Maintain a heart full of gratitude for the little things in life. Whenever I feel resentful, overworked, or under appreciated I play a little game. Which is this…to name as many things as I can that I am grateful for in one minute. It’s the single most important gift I can give and receive from myself – a change of heart. When we truly receive we are thinking not about ourselves, rather, we are acknowledging the giver, their kindness, humility, and their individual worth. In that moment of receiving…we are in a true abundant state of mind. “The most important thing you can do for another human being is to validate their existence.” ~ Marie Forleo Is it better to give than to receive? I’d like to hear about what brings you the most happiness this season! Please share your thoughts below.